We have a very comprehensive article "What Do Rabbits Eat?" on our site which covers a rabbit's diet and the proportions of each food but today I want to look specifically at what herbs rabbits can and can't eat. In general rabbits LOVE fresh herbs and they are an amazing source of vitamins and minerals - even as humans we all know that we should eat more of them. Rabbits in the wild will graze all day long getting a different set of vitamins and minerals from each plant so having a range of plants available is important. Adding herbs to your rabbit's diet adds variety and interest. Some rabbits go a bit crazy over herbs so if you set up a little challenge to get them (like a pile at the top of a ramp, or inside a cardboard tube) it's a chance for some exercise as well! NB: These are all the fresh herbs, not dried ones from your cupboard! 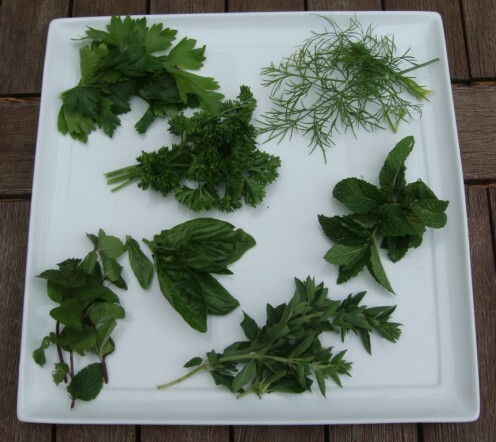 The image above shows (clockwise from top left): flat leaf parsley, curly parsley, dill, mint, oregano, peppermint and basil. This isn't a comprehensive list as there are hundreds of herbs to choose from but these are the most common ones you are likely to have in your kitchen or garden. If you're new to feeding your rabbit naturally (ie: no pellets) or just want to add a few herbs for variety then the secret is to always add any new food, including herbs, gradually. Your bun's digestive system is complex and delicate and if your bun is used to a pellet diet then new foods can cause digestive problems. Other buns take to it immediately. Some owners report their bun becomes rather obsessive with certain herbs like basil - stuffing their cheeks full! Give her 1-2 leaves and check for diarrhoea or an upset tummy (lethargy etc). If there are any signs then stop feeding that herb, give her a day or so to readjust then try another. Just take your time and your bun will be happily munching in no time. You may even want to create her own herb snack pot! I hope you enjoyed this article on herbs you can feed your bun. If you're interested in more practical, down to earth information on pet rabbit care, then visit RabbitsForPets.com and sign up for the FREE pet rabbit care mini course. Do You Feed Your Bun Herbs? I really like your hub, thank you for putting it up . I have 2 rabbits and i know that they love to bunny grass. You can find it at your local pet store. 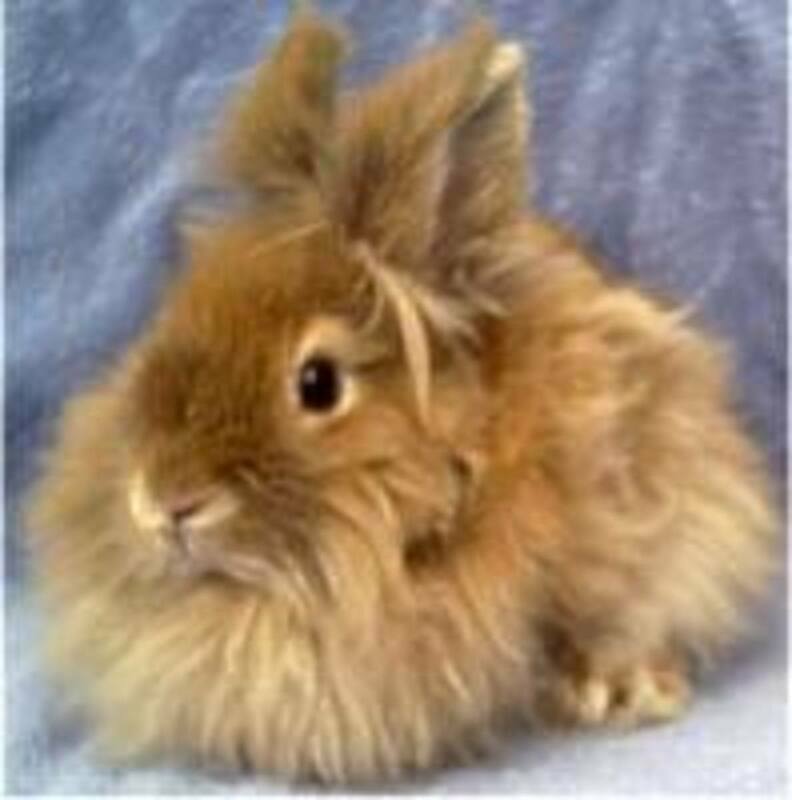 Its very easy to grow all that it takes is a little patience but, in the end your rabbit will have beautiful shiny hair and will be very healthy for it. Also you can give your rabbit carrots. Nice unique hub on feeding your rabbit herbs.